Welcome to my revised product test; the 2019 Sole E95 elliptical review (updated and expanded). And, as usual, I give you the good AND the bad. You can trust me. It’s time to power up for 2018 and beyond, and I’d like to express my gratitude to my readers and say thank you for being my follower and for putting your trust in me. May 2018 keep on bringing success and prosperity. If you’ve decided that it’s time to get in shape, but for whatever reason, you’ve decided not to join a gym or health club, consider the new Sole Fitness E95. Perhaps it’s because you don’t live close to one, or maybe you’re shy about sharing locker room facilities. It could be that you find it difficult motivating yourself to actually get out of your house and go to the gym. Whatever the reason, you’re considering ways to have all the benefits of a fitness facility in your own home. 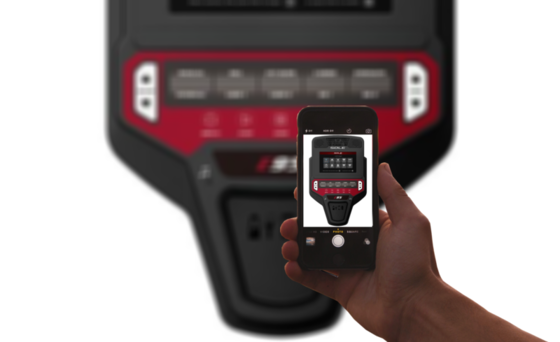 Update 4/7/18: The Sole Fitness spring sale just started, check availability & get $1600 $1800 off on the E95. Elliptical trainers were developed in the 1990s. and that’s without delivering too much pressure to one’s joints. In this way, the likelihood of impact injuries is reduced, and even people with some types of injuries can stay in shape using an elliptical machine. You get a cardiovascular workout that’s low-impact, and which can vary in intensity according to the level of resistance the user sets and the speed of the exercise being performed. Even though it’s a minimal-impact workout, elliptical training is considered to be weight-bearing exercise. The new Sole E95 elliptical allows you to work your upper AND lower body, for a complete cardio workout. Now: it’s generating a lot of consumer interest, largely due to its positive reviews. The Smart Review website considers it to be the best elliptical under $2000. The Biz Rate site goes a step further, stating that even if the E95 were placed in the $2000 and over pricing category, it would still be the best deal. The Sole E95 elliptical has an electronic console that actually incorporates all of the features you’d find in an elliptical at a health club. There’s an LCD (10.1″ TFT display) readout, a holder for your water bottle, and a cooling fan. There are also speakers built in, so that you can connect your MP3 player and enjoy your choice of music during your cross-trainer workout. The drive system is extremely quiet, and works in forward or reverse motion (identical to the E95S). The gear ratio is higher than what you’d find on most comparable models (such as the E98), and the flywheel is heavy (27 pounds). This combination means that the feel is smooth, and there’s more than enough resistance on the top end to give you a workout that will challenge you. You can also ratchet up the resistance by using the power incline or by adjusting the ramp angle up to forty degrees. This allows you to work all the major muscle groups in your lower body. For your upper body workout, the E95 has custom-molded grips for extra comfort (with pulse grips). The resistance and incline controls are integrated into the handles, and there are built-in sensors that monitor your heart rate (with chest strap compatibility). There is a chest strap that allows for hands-free monitoring. The foot pedals on the Sole E95 were designed in consultation with a physical therapist in order to reduce knee and ankle stress. The pedals articulate, because not everyone walks quite the same way. Many people who have used the E95 report that this feature makes them far more comfortable, and therefore more motivated to work out regularly. This feature is not available on any other elliptical, no matter what the price range. 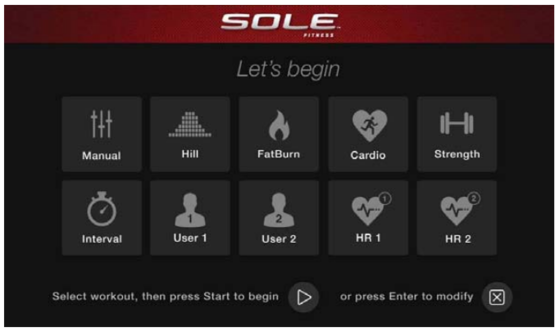 A good way to keep track of all your data from the time you start working out to the time you finish, is by using the new 2018 Sole Fitness Bluetooth integration feature (introduced in 2016). 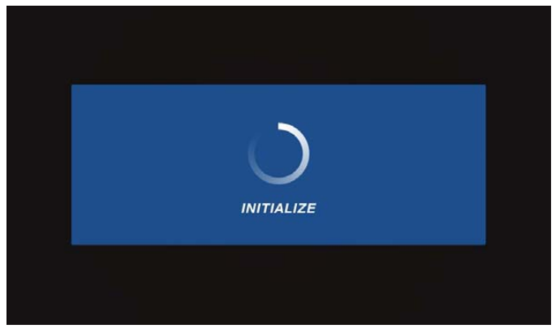 You can transfer information from your Sole elliptical to your mobile device. 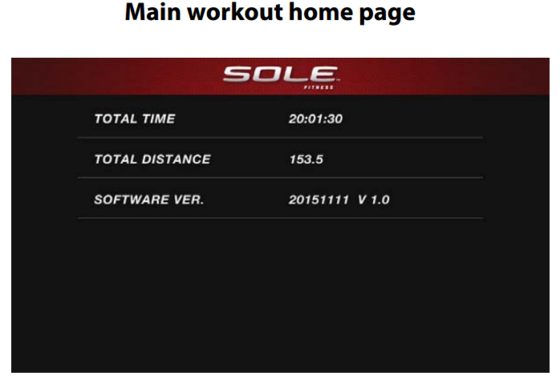 You can download the Sole mobile app to your Android or iOS device. You can connect the app with other fitness apps such as MyFitnessPal and Fitbit. Since it can be used simultaneously with other apps, such as entertainment apps, exercising will be fun and fast, as you will enjoy your work out session. Customers generally report good experiences with the Sole E95 elliptical. These reviews indicate that the E95 is easy to assemble, and also easy to use. It appears that the Sole E95 is easy to use even for people who are significantly out of shape. The multiple levels of resistance make it possible to start off with an easy workout and then progress to strength-building exercise. The advantages to the new Sole E95 elliptical are impressive. However, if the power goes out you will be unable to use the machine, since it is electronic and has to be plugged in to work. This would seem to be a small problem. The E95 comes with a full money-back guarantee, and a warranty of 5 years on the motor and other components, and 2 years on labor. However, there is a 8% restocking fee and you are responsible for disassembly and getting it back into it’s original shipping box. Based on our research and customer reviews, we can only recommend the Sole E95. It’s hard to find fault with a treadmill as solid and well designed as this, and we have seen many. This elliptical from Sole Fitness offers good value and will help you reach your fitness and health goals fast. It is approved for use as a health club model, making it a safe choice for home usage too (and a tremendous value). The company offers a 30-day trial period (full money-back guarantee) so you can test it out for yourself and see how well it works. 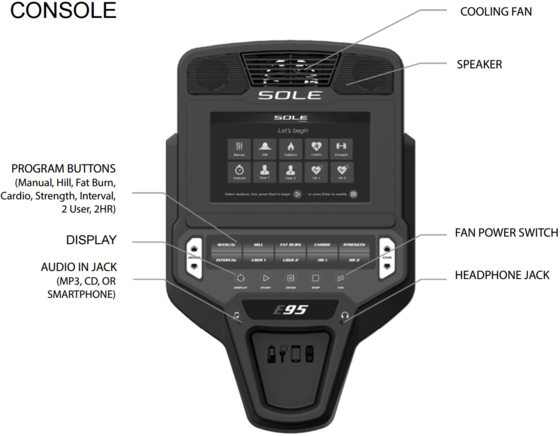 You can purchase the Sole E95 directly from the manufacturer in the Sole Fitness online store. The cost for the fully equipped Sole Elliptical E95 is – as of now – reduced to $1,799.99 $1,599.99 ($200 extra off spring sale) (was $3,399.99). Additionally, as of now, shipping is free and there’s no sales tax in the contiguous U.S.. The Sole E35 vs E95 Elliptical Exercise Machine: Which is the Better Choice? Looking for an Elliptical Machine on Sale? © 2019 Sole E95 Elliptical Review (Apr. 2018). All Rights Reserved.